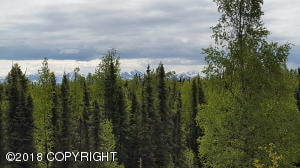 DESCRIPTION: 2.99 acre lot with view of Kenai Mountains. Partially cleared with a driveway. Perfect for a house or a recreational cabin. DRIVING DIRECTIONS: End of Funny River Road, turn on Moonshine Drive, then right on Starlight Drive. Property is on the left, look for sign.